Our newest collection contains four Harrington's customer favorites that can be enjoyed at breakfast, brunch or anytime! Includes our ready-to-serve Corn Cob Smoked 3.5 - 4 lbs. 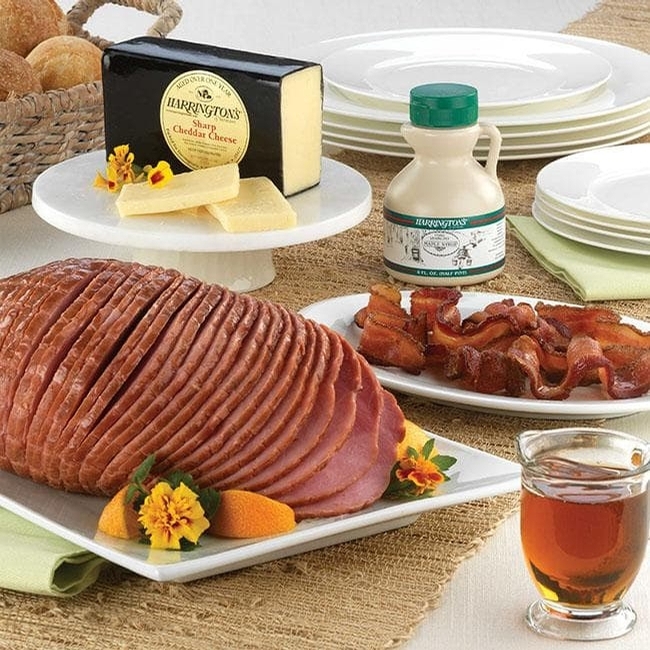 Boneless Spiral Ham, a 1 lb. waxed brick of our incomparable, carefully aged Sharp Cheddar Cheese, half pint of pure Vermont Maple Syrup and 6 oz. of our Corn Cob Smoked Bacon.